A common approach to brand activation planning with sales teams and retailers is around seasonal drive periods or historical promotional windows. 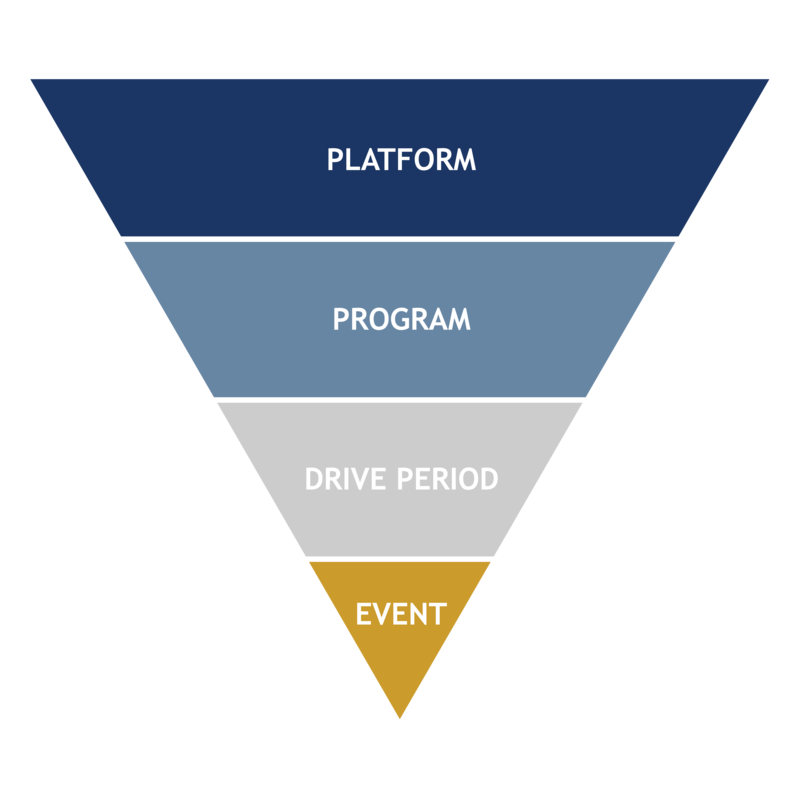 While promotional events can easily be developed from a drive period, it is typically a transactional event with a ‘pay to play’ price tag. Brands who seek strategic vs. tactical activation planning to build equity and share, actively utilize consumer-shopper platforms. A platform is a broad, insight-driven territory which identifies root consumer-shopper needs and activation opportunities which motivate profit-generating purchase behavior and loyalty. Companies who have multi-brand portfolios greatly benefit from a platform approach, to enable multi-brand activations and execution synergies. Companies achieve higher ROI from joint value creation engagements with strategic retailers, and improved equity-building activation development with agencies and sales teams. TPG works with Brand and Shopper Marketing teams to establish a consumer-shopper platform framework and validate it using the TPG ‘4-point’ platform test. From there, we help organizations re-wire into the brand-customer planning process, refine the Joint Value Creation approach with retailers, and the shopper marketing program/event development process with agency partners.